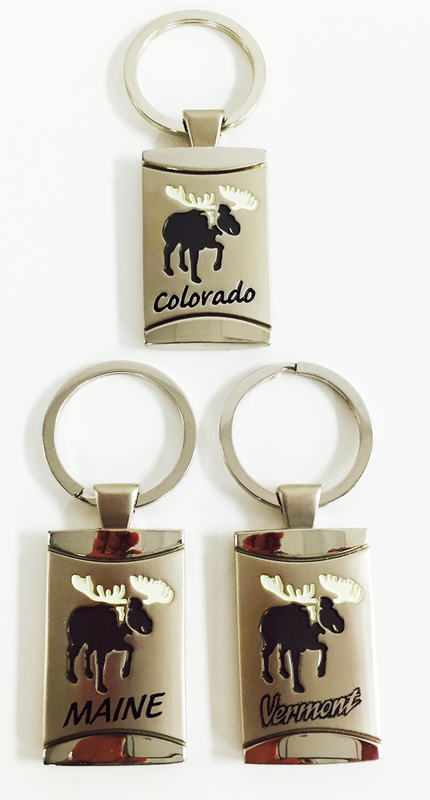 KEY TAGS are made from zinc alloy. They measures 1 3/4" X 1 1/16", is attached to a 1 1/4" flat split ring, and is finished in a shiny and matte silver combo plating. You have the option of doing larger orders in China where we can make a new molding and the namedrop will be part of the mold.